A junior-edition of our high-stakes curatorial cold case! 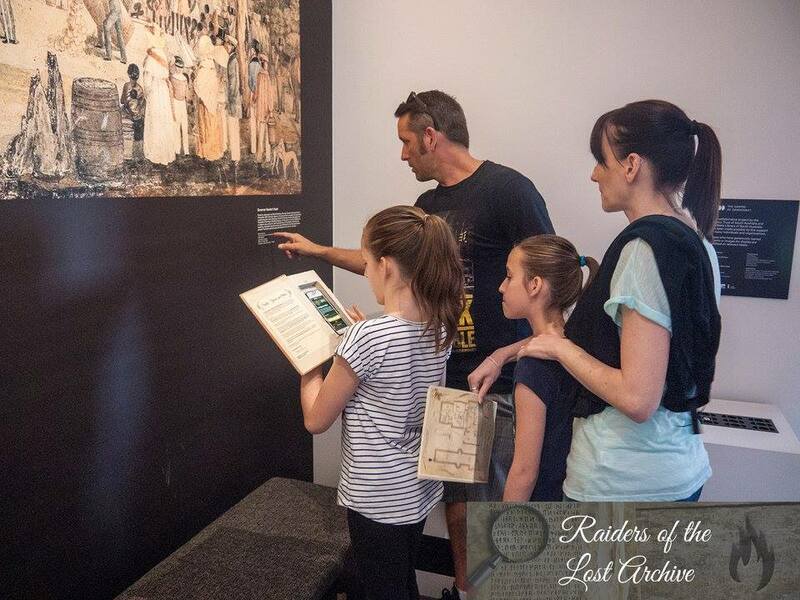 When the clock starts, your team will have 60 minutes to crack the clues and hunt down the hidden secrets in one of Adelaide's most historic venues. With a live leaderboard, cryptic clues, fun puzzles, surprise challenges and a roaming curator you'll have to think quickly and work together to beat teams of rival adventurers. 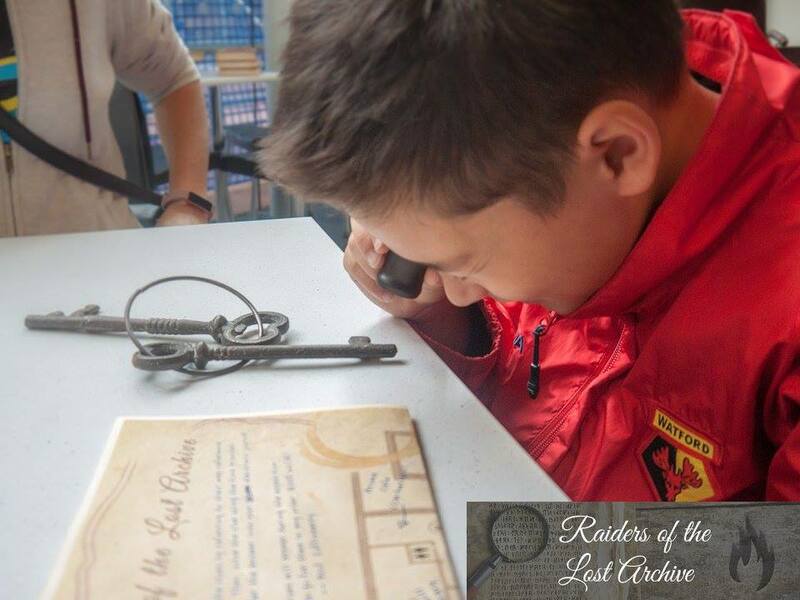 Discover the secrets in the library: Crack cryptic clues, explore hidden corners and spot tiny details. React quickly when new clues open up or old ones close. And work together - you'll need sharp minds and sharp eyes for this one. You'll have competition from other teams of Raiders at the same time. There are bonus points for the first team to crack each clue - and, more importantly, not everybody gets every clue at the same time. Keep an eye out. Follow each other. Lay false trails. Stay alert. With a live leaderboard on your phone, you'll know exactly who to watch out for. Raiders of the Lost Archive: A Trunk Full of Books is based on our hit Citydash game - but this time there'll be nobody chasing you (and NO running inside!). We'll keep the pressure up with fun puzzles, surprise clues and timed challenges, but you won't need your running shoes for this one. The Wingback Society has been following the exploits of Delilah Athelby for many years. 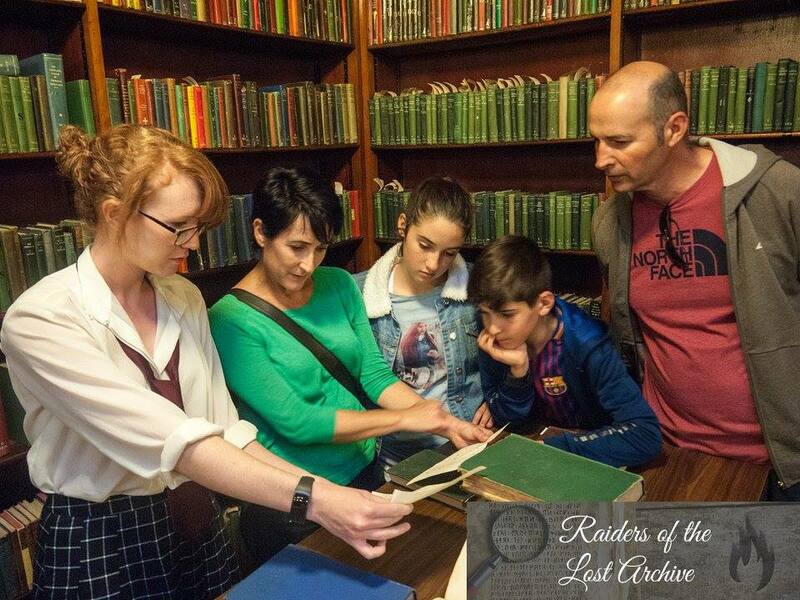 The legend of the Lost Archive of Delilah Athelby is a mystery that has foxed adventurers and curators for generations. 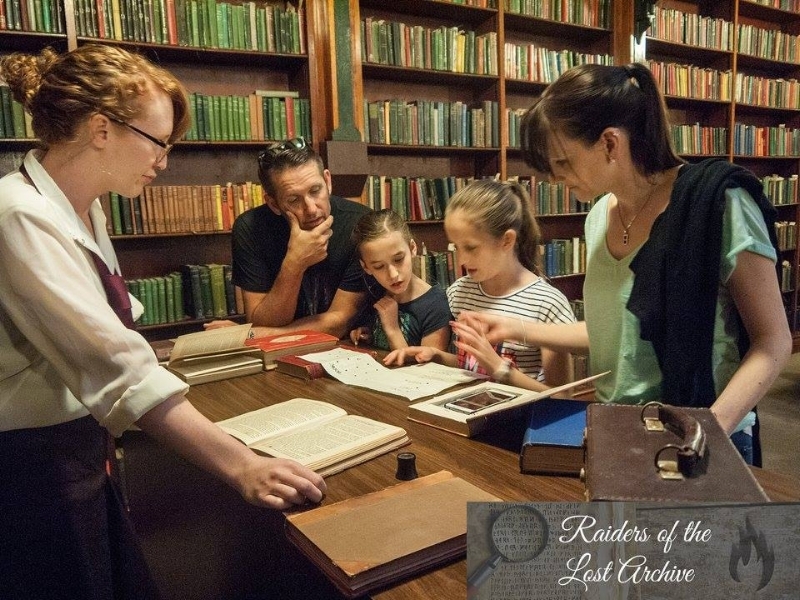 A mysterious cabinet filled with a great treasure was hidden upon her death and legend holds that the key to finding the trunk is hidden in a series of puzzles within her collection. These items are now on display in Adelaide! With access to those, you might be able to solve this mystery once and for all - unless another team cracks it first. You'll have the chance to join the ranks of the Wingback Society, Lady and Gentleman Explorers who are known for their curiosity, courtesy, and conviviality. The Society will be observing; impress us not only with your wits, but with your conduct, and you'll be celebrated as one of our most esteemed explorers. 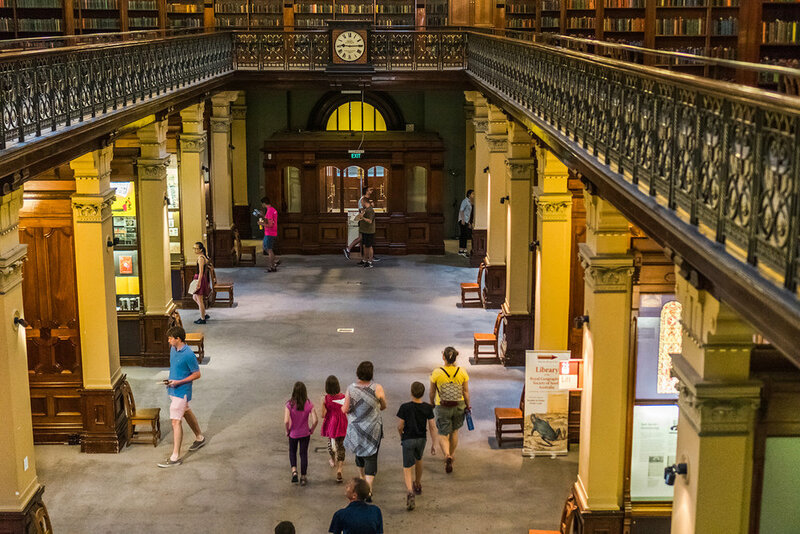 The State Library of South Australia itself is fully accessible. If you have concerns just drop us an email in advance and we'll get it sorted. Adults are very welcome to accompany teams (and can join for free)! We recommend that you have at least one over-16 in each team. 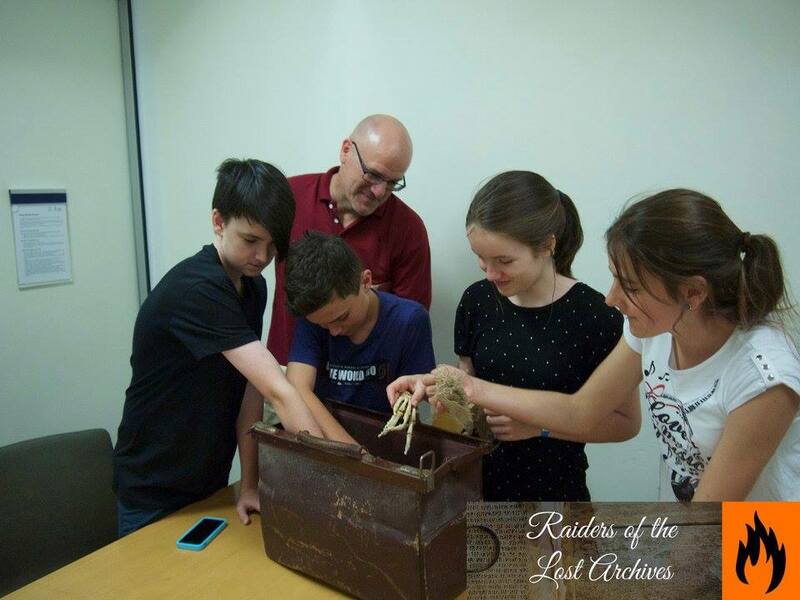 However, this is a game for kids, and adults-only teams should join our Raiders of the Lost Archive game instead. 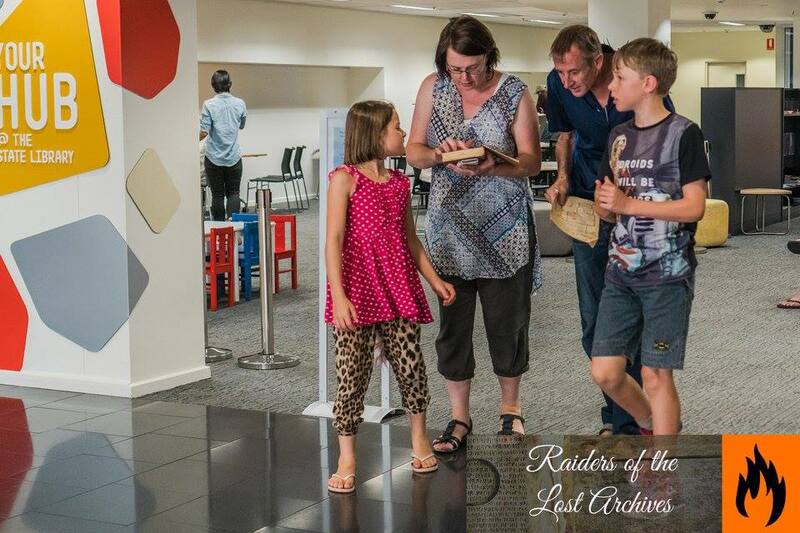 Raiders takes place in the State Library of South Australia; they're very happy to have us. 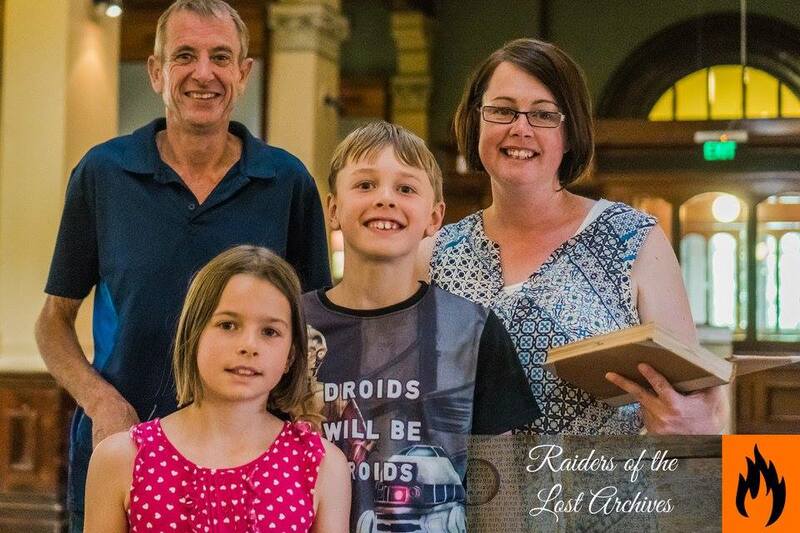 The Wingback Society will meet with all participants at the Circulating Library (enter via the Instritute Building on North Terrace) and the adventure will begin.